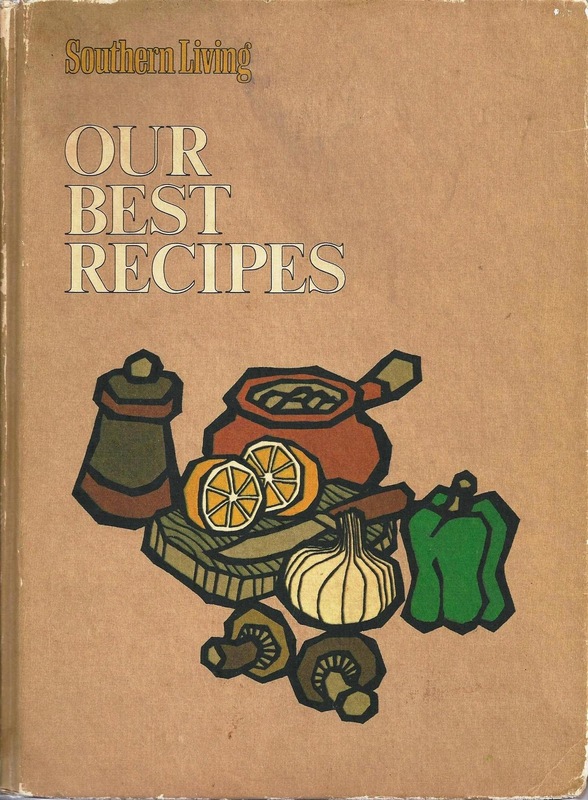 Southern Living published this cookbook in 1970. It was intended to be the first of a series of major cookbooks on foods from the South. They said they had received more than 50,000 recipes from their readers at that time, and included 1500 recipes in this first volume. They eventually printed 3 books in this particular series; you only know this is volume one because it is not volume 2 or 3, which are indicated in their titles. You can see my copy is very well used. I completed high school in Collinsville, Texas, graduated from North Texas State University and worked until my marriage at the Methodist Hospital in Houston. My husband was eventually stationed at Fort Gordon, Georgia, where I worked at the University Hospital in Augusta. I met many wonderful Southern cooks, both home cooks and professionals, and really learned to love some Southern dishes. I still, for instance, buy and serve grits for breakfast occasionally and pecans are still my nuts of choice for baking. I miss the gulf seafood, catfish (and hush puppy) restaurants, wonderful barbeque – both the beef barbeque of Texas and the “pork barbeque and hash” (hash in this case is rice with barbeque drippings and bits of meat in it) that we loved in Augusta. I confess, I judge all area barbeque restaurants by the standards of those excellent southern ones. Southern desserts are rich, sweet and legendary, and of course, crisp cornbread…..on the menu every day in both my high school and college dorm cafeterias, and in the hospitals I worked in - not to mention cornbread dressing served with any poultry or roast pork. That's were I got my first introduction to real Tex-Mex….we usually had everyone from the pot boy to the cafeteria servers rolling enchiladas before we served more than a 1000 of them for a meal. Good memories….and this series of cookbooks always have provided a good recipe for dishes I remembered and wanted to recreate in my own kitchen. If they have any drawbacks, it's their limited photographs. Here we share a few of our favorites from Southern Living Our Best Recipes Volume 1.